Although we do offer make-up classes for illness and injury, we encourage families to make sure your child gets the most out of their lessons and attend their regularly scheduled class. Students get far more out of their normal lesson than a make-up lesson due to teacher changes as well as the other children in their class. We cannot always guarantee that a make-up class will be available because many of our classes are full. If it is not possible for your child to make their scheduled class please notify the swim office at least 1 hour prior to missing the class. If you know you will be absent further ahead of time, please let us know earlier so we can offer that space to another family. If one hour notice is not given, a make-up class cannot be offered. All scheduled make-up lessons need to be completed before the end of the session, make-ups do not roll over. Once a make-up has been scheduled, it may not be re-scheduled for any reason. We know how busy schedules can get and we are happy to change your child’s day and time when another class is available. Please contact the swim office. If you see a space available on the website, you can register for that class and send an e-mail that your child needs to be dropped from the other class. We understand students become fond of certain teachers. We are fond of all our teachers. Although you may have selected classes based on the teacher listed, last minute modifications may be made based on class scheduling or changes in teacher availability. Please be aware that teachers need to take time off every now and then. While we will always have a fully qualified teacher in place, we cannot guarantee their gender. Your child will need to have a swim suit and towel. For children not potty trained or under the age of 3 please read the swim diaper policy. Many children prefer to have goggles. If your child needs goggles, rash guard, swim cap, or a swim diaper, they are available for purchase at each location. We know it can be hard to watch your little one crying or scared. One thing to consider is that we have raised our children to a) not talk to strangers b) stay away from water. Then we put them in the water with a stranger. This can be scary for some children. Learning trust is a big part of swimming. Trust is gained over time, not just a few lessons. Our teachers are all trained in handling these situations. The Deck Supervisor or Manager on Duty can also be helpful and talk to the children about why they are scared or crying. Talking with the child, playing games, singing songs, and playing with toys can all be used to help ease the child into the class. If you need assistance with your child, please let our staff know so we can work with them. We want all children to feel comfortable and happy swimming! Since many of our classes are back-to-back, there is limited time to speak with the instructor. If you have a quick question, you can ask the teacher as the children are getting out of the pool. If you need more information, you can talk to the Manager on Duty. Children often hit a plateau and get stuck at a certain point. This is common when a child progresses very quickly in the beginning or takes sessions off. Our teachers are trained in how to motivate the swimmers that have been in the same level. As an owner and parent himself, Joe can attest to how frustrating it can be when your child stays in a particular level for a while. His own children have gotten stuck in levels for over a year. Please bring it to our attention when you feel your child has been in a level longer than you would anticipate. We can then evaluate the reason why this may be happening and come up with steps to help your child move forward. 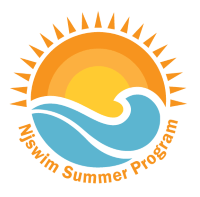 At New Jersey Swim Schools, Inc., we believe that children who take year round swim lessons learn to swim and be safe in the water at a faster pace. When children take time off they lose the skills they have gained through the session. This leads to wasted time and money for families. We also feel that 30 minutes is the perfect amount of time for children’s lessons. Most children are able to pay attention for the 30 minutes. When swimming for longer, children can get tired and will do the skills but not always with proper technique. You can sign up at any time. Please check our class schedules to find the right one for your child. If you sign up after classes have started, we may pro-rate your fees so you only pay for the remaining classes. You can register on our website, call the office, or e-mail to register. Due to our wonderful registration system, we are able to keep a secured credit card on file. Class fees are automatically posted to the credit card that is active on you Njswim account. Merchandise is sold at each of our locations. You can pay for merchandise with cash or the credit card we have on file. We accept Visa, American Express, and Mastercard. We understand there are circumstances where it might be necessary to cancel your lessons. If this is required, please let us know 30 days prior to the next billing cycle date. Please refer to the billing calendar for your specific location. What if Njswim has to cancel a lesson? If Njswim must cancel a lesson for any reason, we will provide a make-up class. 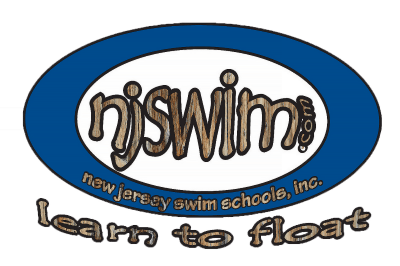 If a make-up class is not available, a credit will be placed on your Njswim account with us to use towards future lessons, no refunds will be given for cancelled lessons. Our system is unique because our teachers are able to adapt their teaching methods for each child in the class. We believe that keeping the same teacher and same kids in the class help children better adjust. Changing classes may make it difficult for families with multiple children. Your child’s teacher will make sure your child works on the skills to progress through the next level. We strive to start and end each lesson on time. For your child to receive their full instruction time, and to minimize the distraction to other students, please arrive at least 5 minutes before your scheduled lesson. Please encourage children to use the bathroom before the lesson to minimize interruptions during their instruction time.